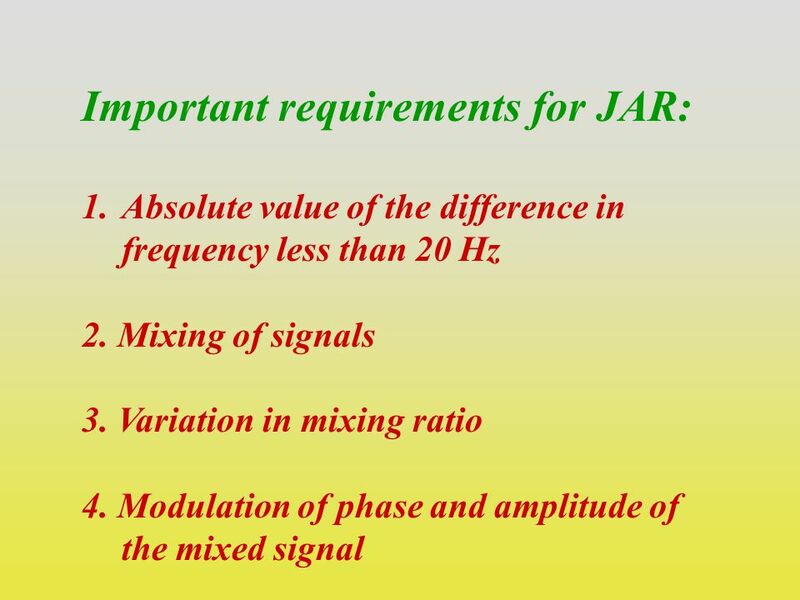 Important requirements for JAR: 1.Absolute value of the difference in frequency less than 20 Hz 2. Mixing of signals 3. Variation in mixing ratio 4. 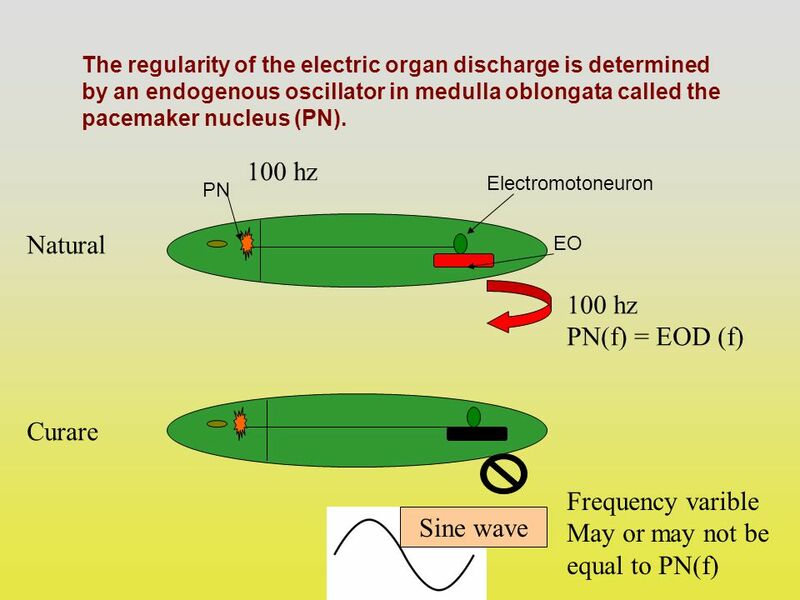 Modulation. 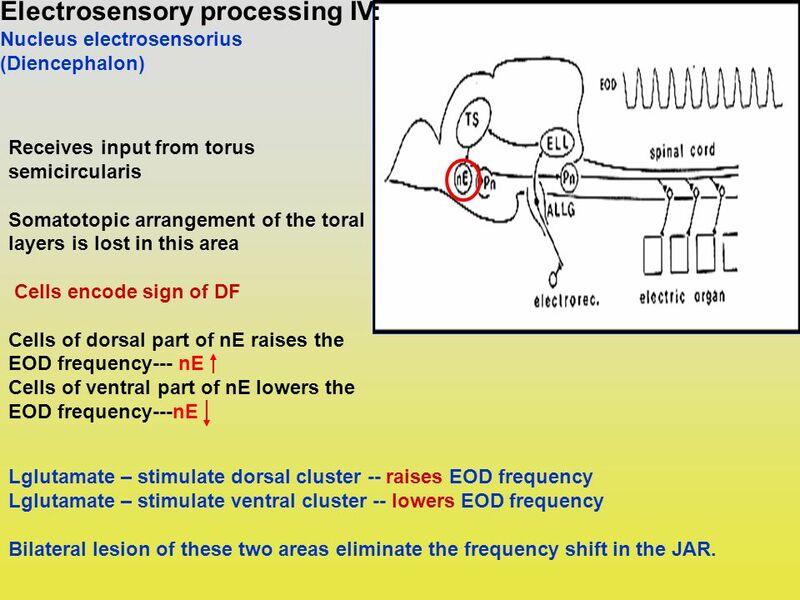 11 Electrosensory processing IV: Nucleus electrosensorius (Diencephalon) Receives input from torus semicircularis Somatotopic arrangement of the toral layers is lost in this area Cells encode sign of DF Cells of dorsal part of nE raises the EOD frequency--- nE Cells of ventral part of nE lowers the EOD frequency---nE Lglutamate – stimulate dorsal cluster -- raises EOD frequency Lglutamate – stimulate ventral cluster -- lowers EOD frequency Bilateral lesion of these two areas eliminate the frequency shift in the JAR. 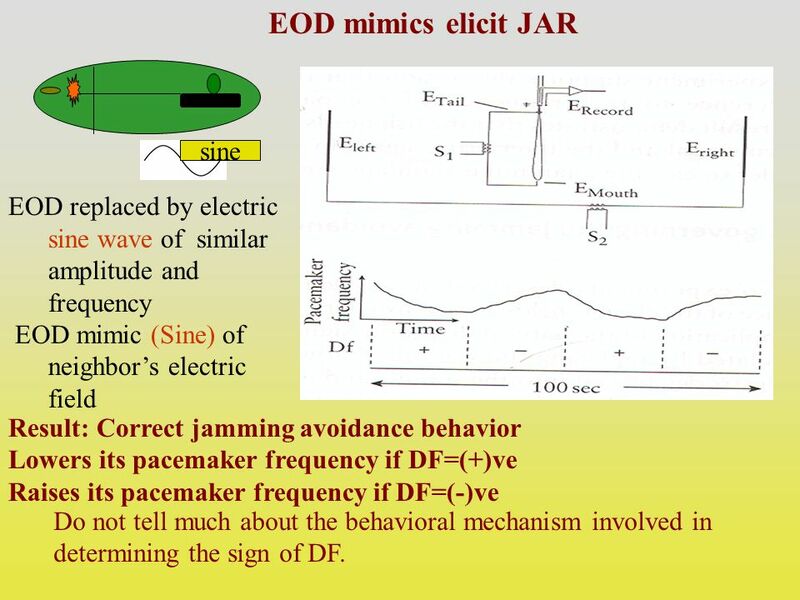 Download ppt "Important requirements for JAR: 1.Absolute value of the difference in frequency less than 20 Hz 2. Mixing of signals 3. 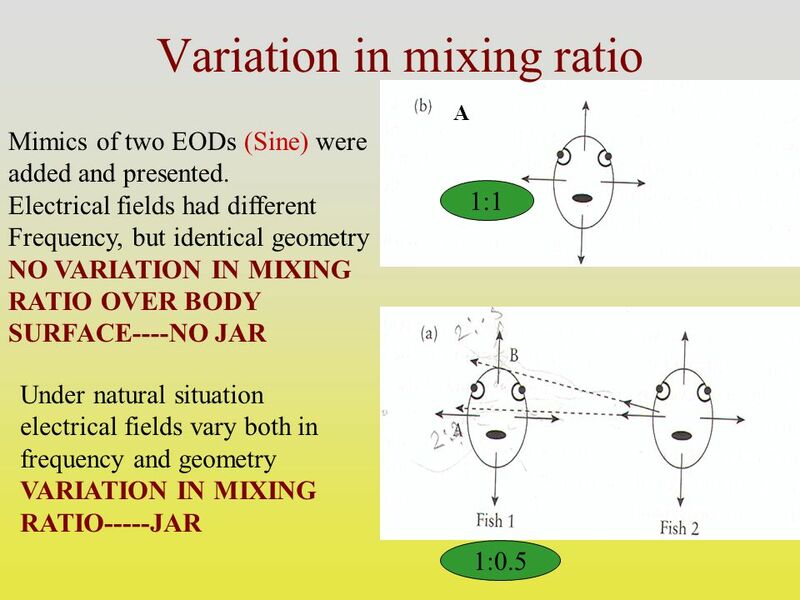 Variation in mixing ratio 4. Modulation." 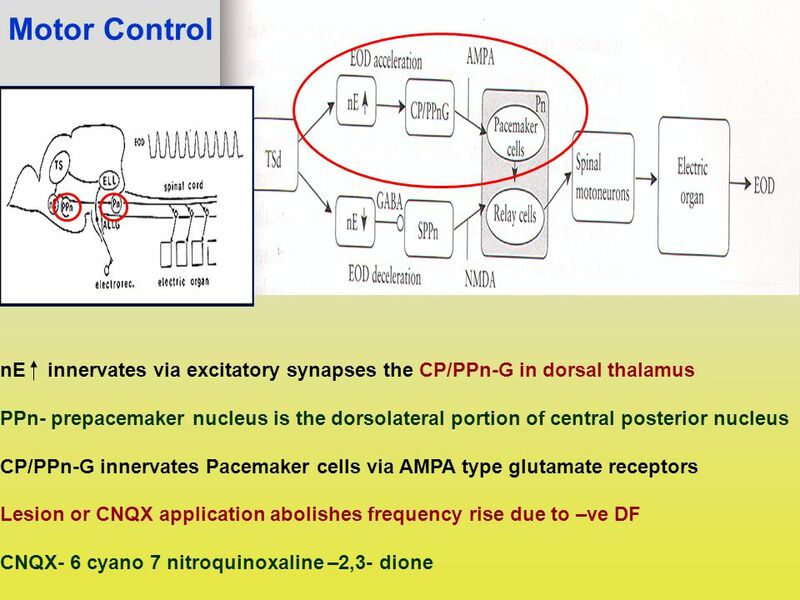 University of Jordan1 Cortical Control of Motor Function- L18 Faisal I. Mohammed, MD, PhD. Neural Network of the Cerebellum: Temporal Discrimination and the Timing of Responses Michael D. Mauk Dean V. Buonomano. A model for spatio-temporal odor representation in the locust antennal lobe Experimental results (in vivo recordings from locust) Model of the antennal. Lecture 15: Cerebellum The cerebellum consists of two hemispheres and a medial area called the vermis. The cerebellum is connected to other neural structures. Computational neuroethology: linking neurons, networks and behavior Mark E. Nelson Beckman Institute Univ. of Illinois, Urbana-Champaign. 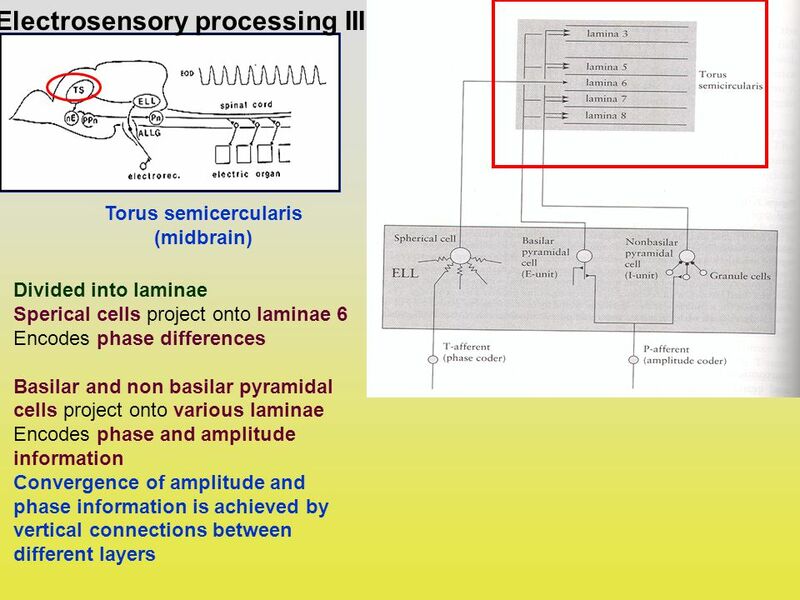 ANATOMY AND PHYSIOLOGY OF MOTOR SYSTEMS CHAPTER V.
The Auditory Nervous System Classical Ascending Pathway. 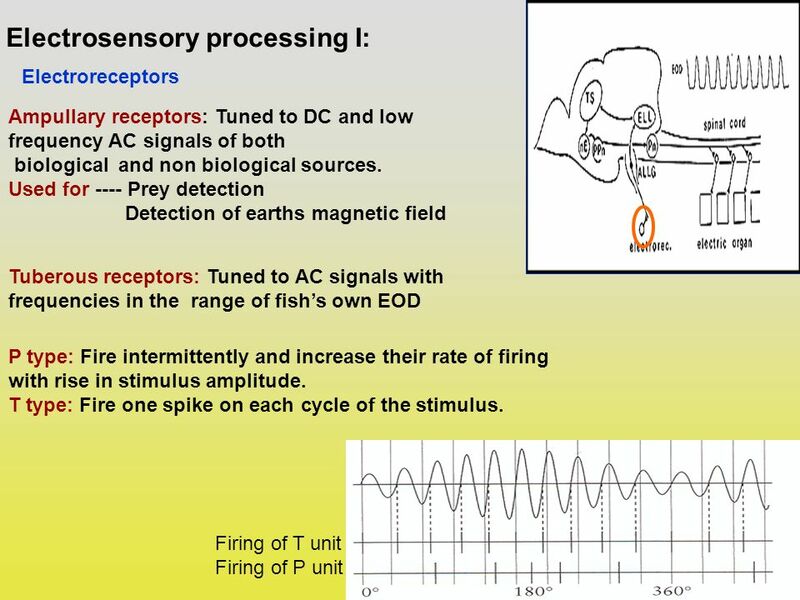 Electrosensory data acquisition and signal processing strategies in electric fish Mark E. Nelson Beckman Institute Univ. of Illinois, Urbana-Champaign. 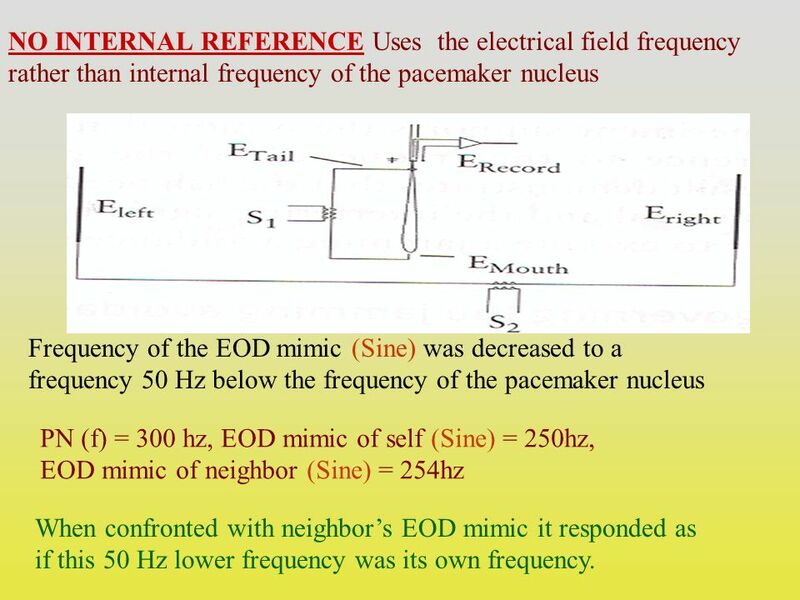 CSD 3103 anatomy of speech and hearing mechanisms Hearing mechanisms Fall 2008 Central Pathways. 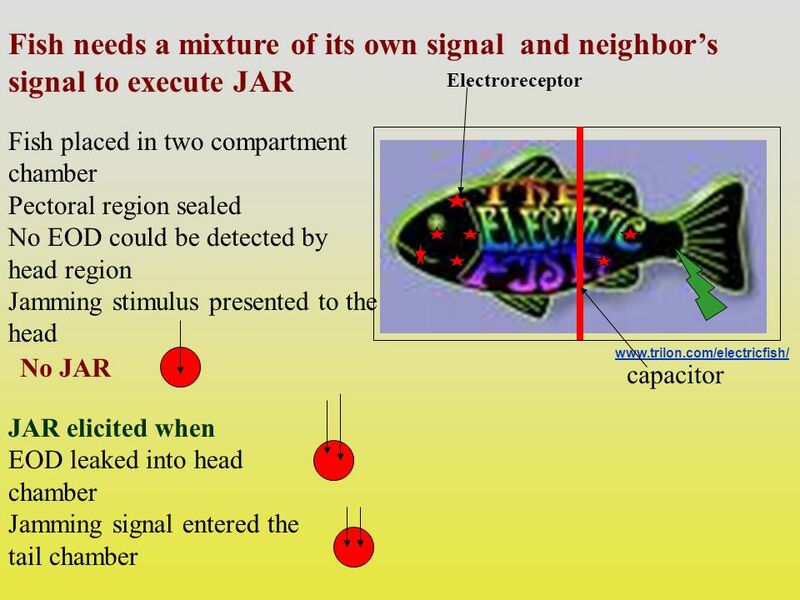 1 Eigenmannia: Glass Knife Fish A Weakly Electric Fish Electrical organ discharges (EODs) – Individually fixed between 250 and 600 Hz –Method of electrolocation. Exam 1 week from today in class assortment of question types including written answers. 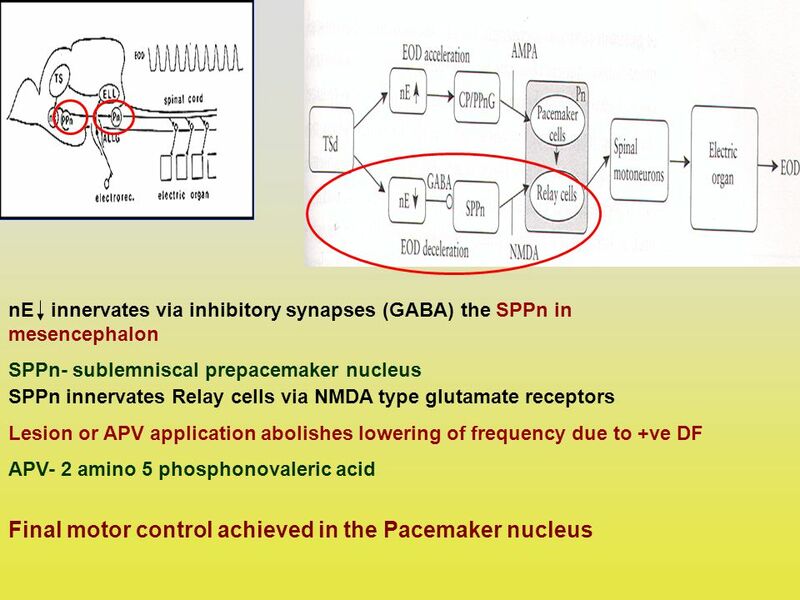 Effects of Excitatory and Inhibitory Potentials on Action Potentials Amelia Lindgren. 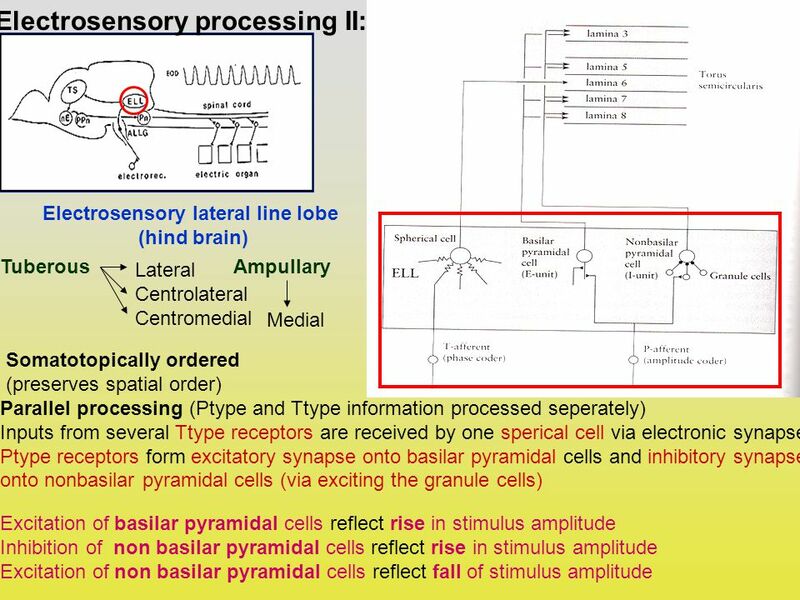 $ pt 2: sensory input $ ch 2: echolocation in bats $ bat behavior $ decoding the acoustic environment $ hunting bats $ neural mechanisms $ moth responses.  How does the mind process all the information it receives? 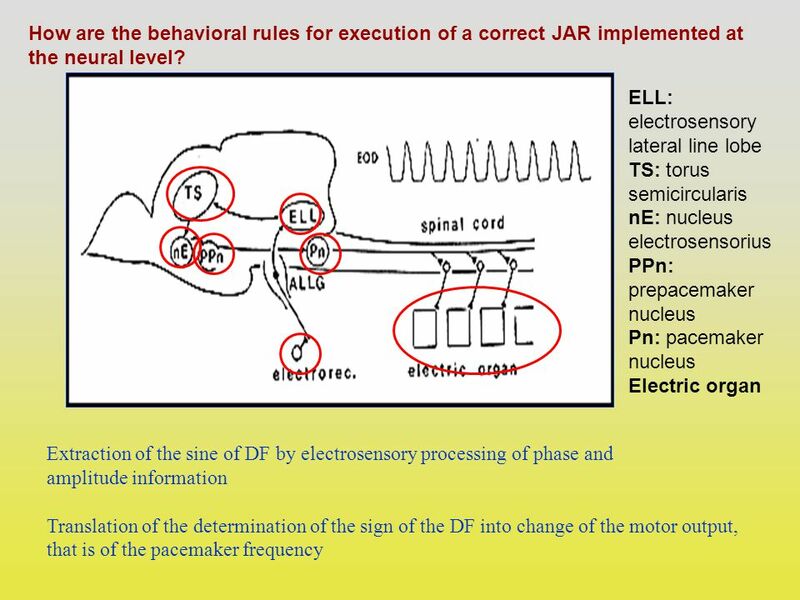 Motor systems III: Cerebellum April 16, 2007 Mu-ming Poo Population coding in the motor cortex Overview and structure of cerebellum Microcircuitry of cerebellum. BRAIN AND BEHAVIOR. WHY DO PSYCHOLOGISTS STUDY THE NERVOUS SYSTEM? The nervous system is the direct source of all behavior The nervous system is shaped.